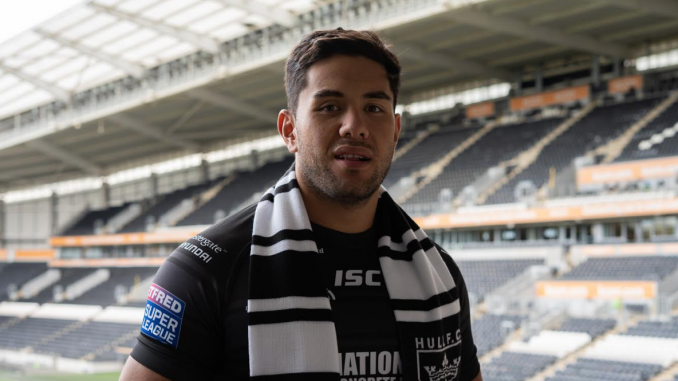 Hull FC’s new recruit Andre Savelio is already feeling at home with the Black and Whites following his move from Brisbane. The 23-year-old recently penned a three-year deal with Hull after a season in the NRL with Brisbane Broncos. Savelio arrived in the UK last weekend and has already had a couple of training sessions with Lee Radford’s side. “I sat down with Radders [Lee Radford] first and then got in amongst all of the boys before we went out for a field session and it felt good to blow a few cobwebs off,” Savelio said. “I can’t wait to get back out on the field and play for this club, so I’m just really excited to get going and make my debut for Hull FC. Hull FC face London Broncos at the Ealing Trailfinders this Sunday, 3pm kick-off.